Bobbi Kristina Brown is “in God’s hands”, according to a source. 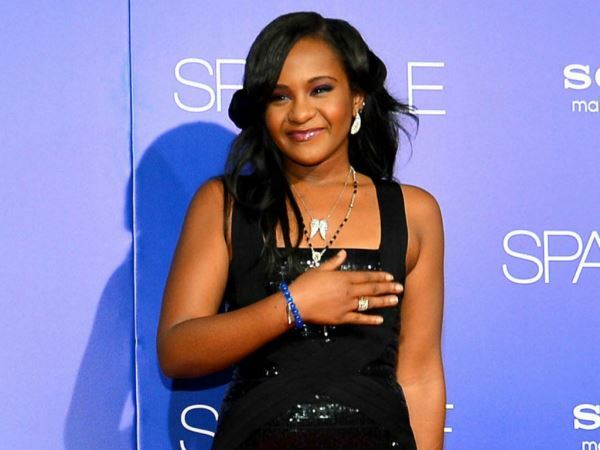 The 22-year-old daughter of late singer Whitney Houston was placed in a medically induced coma after being found unresponsive in the bathtub of her Roswell, Georgia home on January 31. She has been on life support in a rehab facility in Atlanta after being transported from a nearby hospital, and reports have been varying about her condition. However, an insider close to the family has revealed that while it seems increasingly unlikely that Bobbi will make a full recovery, her relatives are still holding out hope for the best. "Krissi is breathing but she cannot communicate," the source told People.com. “I think [Bobbi Kristina's grandmother] Cissy Houston said it best – that’s she's in God's hands." Cissy and Bobbi’s father Bobby Brown have been playing a vital part in supporting the youngster as she battles towards recovery. The source said that bible readings and songs are among the family’s repertoire as they sit alongside Bobbi on a daily basis. “They are focusing on making sure she is at peace,” the source said. “Someone usually will read to her, the twenty-third Psalm. “Her family is right there with her. They sing to her and talk to her. They just want her to feel that they are there by her side. They hold her hand a lot and pray with her too – even if she doesn’t know that they are there. In spirit, she knows. They have always tried to be there for her."